When Dad was a boy, he discovered a duck in the fridge! And more ducks all over the house. He tried everything he could think of to get rid of the ducks with no success until he finally came up with a clever idea to get the animals to fall asleep. And himself too. 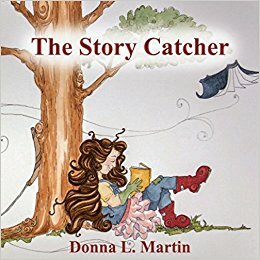 I must admit when I first started reading this story I wasn’t really connecting to the plot and the illustrations weren’t exactly grabbing me. But by the time the ducks start taking over the house I was hooked. It reminded me somewhat of Tara Lazar’s humorous book, THE MONSTORE, and the dilemma her main character had getting rid of a pesky little sister. This book ended up being a cute read and probably would be enjoyed by younger children.